After the cleaning, the wool undergoes a long combing and stretching process. The raw wool is cleaned and goes through a long process of combing and stretching. The new collections must be in line with the current trends, so we are constantly developing new yarn colours, says Tommy Sandvik who operates the dying basins. This batch is red and it takes over five hours to get the right and full colour. The yarn is then dried under regulated temperatures to ensure that the colour stays. Behind every new design there is a long process that involves several members from the design and product development team. We work with traditional materials and design elements, but are able to constantly develop the products by updating patterns, colours, cut and functional details. Hilmar Fosse works in R&D. Here in his lab he has developed fluorescent neon colour yarn and water repellent sweaters. I’m proud of what we have accomplished, says Hilmar. It was said that Teflon could not be applied to wool, so I just had to try.The Teflon treated yarn has become an enormous success and confirms Dale of Norway position as the innovative sweater brand. Conventional machines knit the body, arms and neck separately, but we now also have advanced knitting technology that can knit sweaters complete in one piece without any seams. The knitted pieces are assembled and then the zippers, buttons, bands and labels are added later. The neck and arms are put together using the looping technique, where the pieces are sewn together loop by loop leaving the seam almost unnoticeable explains Lise Olsnes. Wool – nature’s own high-tech fibre. No man-made fiber can match the unique qualities of wool. Fluorescent neon yarn and the water repellent pullover. Wool – nature’s own high-tech fibre. The fibers from Merino wool are much finer than other types of wool and synthetic fibers. This means that for a given weight Merino contains more air spaces. More air spaces = more insulation. That’s why Merino is better at keeping the cold out and the warmth in. In addition, the natural crimp (waviness) of Merino fibers creates millions of tiny air spaces. More insulation = better thermal comfort. Other fibers, lacking Merino’s crimp, aren’t able to generate further insulation in this way. Despite the development within synthetic materials, no man-made fiber can match the unique quailites of wool. With 132 years experience in working with wool as raw material, Dale of Norway recommend staying close to nature. Wool remains one of the worlds most venerable and respected fibres and has been utilized since the dawn of time. It’s stature as nature’s own technical fibre in the modern era is a strong testament to its unique qualities. Norwegian mountains can be cold. But since 1879 Norwegians have stayed warm and comfortable with their Dale of Norway garments. Dale of Norway has developed a unique technology that makes wool sweaters water repellent. Combined with a wind proof membrane you have a garment that is absolutely weather proof. Combining our 100% wind proof membrane with our water repellent wool gives you a completely weather proof Dale of Norway garment. 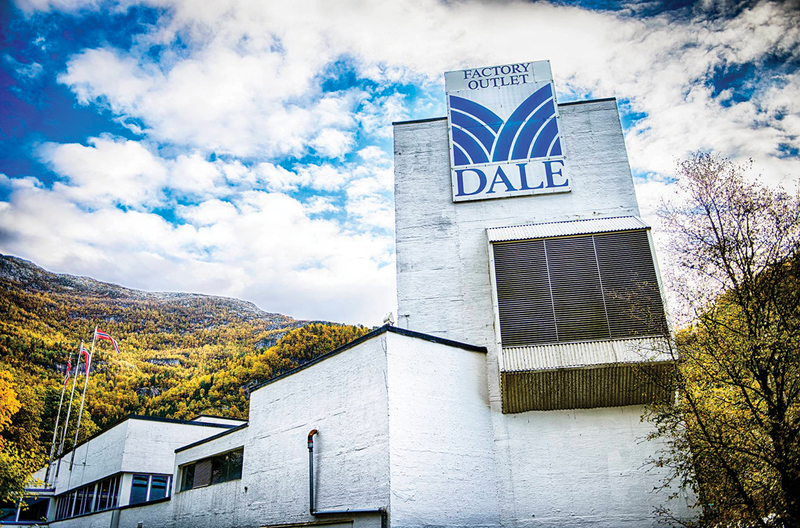 Dale of Norway is one of the world’s leading manufacturers of premium knitwear. From “sheep to shop” our Dale garments have been fine tuned with over 130 years of experience, innovative yarn- and knitting techniques, made with 100% eco-friendly wool. Wool is one of the oldest and most universal fibers. Felted or woven wool has been used for garments and household linens since the earliest civilizations. Despite the development within synthetic materials, no man.made fiber can match the unique qualities of wool. All Dale of Norway’s knitwear carries the Woolmark label which guarantees that our yarn is made from top quality 100% wool. Part of the secret of Dale of Norway’s success is the pure Norwegian wool that stands in a class of its own. Wool is often called nature’s own high-tech material due to its very special properties. For example, wool allows moisture to wick through the fibers for a comfortable and dry feel. The high percentage of air in wool means it insulates against both heat and cold, and this gives the user the best comfort both on cold and warm days. Our knitwear is made from 100 % natural wool, known to be one of the most eco-friendly fibers in the world. The production at Dale is powered by sustainable, hydro.electric energy generated by local waterfalls in the Dale valley. Developments at Dale have not stood still since Mr.Jebsen first recognized the potential inherent in this beautiful valley outside Bergen some 130 years ago. 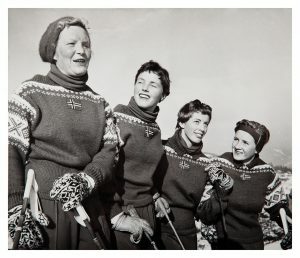 Although sophisticated computers and machinery have led to tremendous advances in the manufacture of machine-knit sweaters, each and every garment still gets the personal touch and care that has always been Dale of Norway’s hallmark. Making garments to our standards is no small feat. It involves paying close attention to detail at every stage of the production process. The yarn is crucial to the quality of the sweater. We believe there is only one way to ensure the right quality, and that is to monitor the process step by step, from raw materials to finished products. No mashines can replace the 130 years knowledge and experience of Dale of Norway. Higly trained technicians ensure that every product gets the best possible technical solution and finish. Rigorous testing guarantees that only products in which we have absolute faith ever reach the market. During more than a century Dale has produced yarn, designs and knitwear. Our factory is a world leading laboratory of knowledge and has developed many innovative yarns and knitting techniques over the past years. The comfort wool stretch, and the knitshell TM weatherproof are innovative milestones. Wool keeps you warm in cold weather and cool in hot weather. These remarkable fibers also absorb up to 30 percent of their own weight in moisture, wicking moisture away from the body so that the wearer stays dry and comfortable regardless of the temperature. The extremely fine, soft and crimped nature of wool fibers allows for a strong natural elasticity that enhances its high-performance qualities. Wool is not only warm, it is odor-resistant, antimicrobial, breathable, insulating, extremely durable, and anti-static, making it ideal for a range of products from performance wear to fine wool suiting. It’s structure gives a unique and valuable combination of comfort with high performance. It is naturally environmentally friendly, renewable as well as easy-care and wrinkle free. 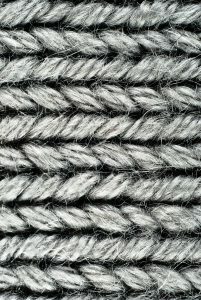 Thick wool yarn can have a rough texture. Our highly skilled labour and modern technology makes us capable of developing a Norwegian wool with a far softer texture than we are used to. The Norwegian wool has higher bulk and strength and retains much more air than the finer micron wool. This makes it excellent for durable mid- and outer-layer garments. Dale products are well known for their longevity, both in material and design. Modern technology has made it possible to sort and select only the finest fibers to produce finer-micron Merino. Today Merino wool has a microscopic diameter – about one-third to one-tenth the thickness of a human hair. The smaller the diameter, the finer, softer and less scratchy the fabric will be. Merino wool produces fabric that can be worn next to the skin without discomfort, is soft and provides an exceptional and distinctive style. Dale offers a wide range of luxuriously soft Merino wool clothing. Norwegian mountains can be cold and windy. With Knitshell™, Dale of Norway brings unprecedented technology to the market. 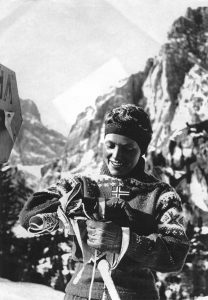 The Knitshell-technology demanded numerous hours of research and development to successfully conserve the properties of wool while creating a windproof membrane that could perfectly adhere to knit. Dale of Norway is the world.leading producer of water repellent wool products. We developed a unique technology that coats every fiber of the garment with a water repellent capsule. This additionally makes the garment oil and dirt repellent. It will keep you warm, dry and good looking in any weather conditions. The Polarwind membrane used in our weatherproof products is an ultra thin protective liner which is laminated to a lightweight textile fabric, making it totally windproof. Dale Polarwind’s composition and high-tech structure is comfortable and produces less noise than similar jackets. Polarwind is also one of the most efficient moisture control systems you can find on the market, wicking moisture more quickly than any other liner. Perfect for physical activity in low temperatures. The Dale of Norway Knitshell™ is a technical weatherproof garment made from wool. The innovative system of water.repellent yarn laminated to a soft windproof Polarwind membrane, creates comfortable and elegant looking jackets for versatile use. The difference of pressure and temperature between the body and the ambient air maintained by the high protection liner, creates thermal insulation. Perfect for hiking and skiing even in the harshest weather conditions. Our different designs make them ideal even for outdoor city use.